"EXPELLIARMUS!" —me to my Gringotts savings account. *Not actually toilet-proof. Do not intentionally drop your passport into the toilet. 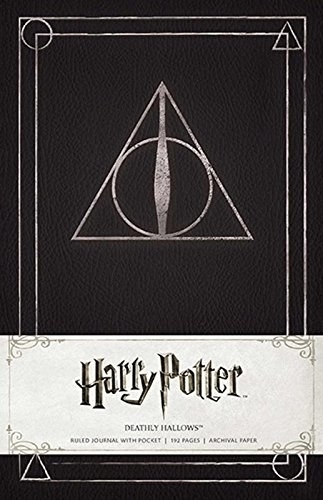 Get it from Amazon for $19.95 (available with three different crests). 2. 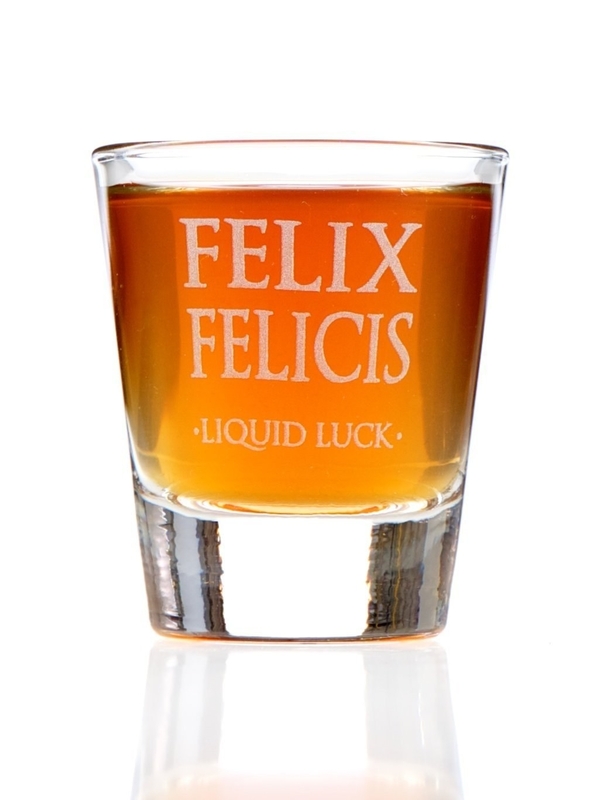 A polyjuice potion flask known to completely alter your appearance and make you seem ~moody~. Siriusly! The last time I drank from this, I developed an eye patch and everyone called me "moody." Like, how would you know what I'm like? Ugh. 3. 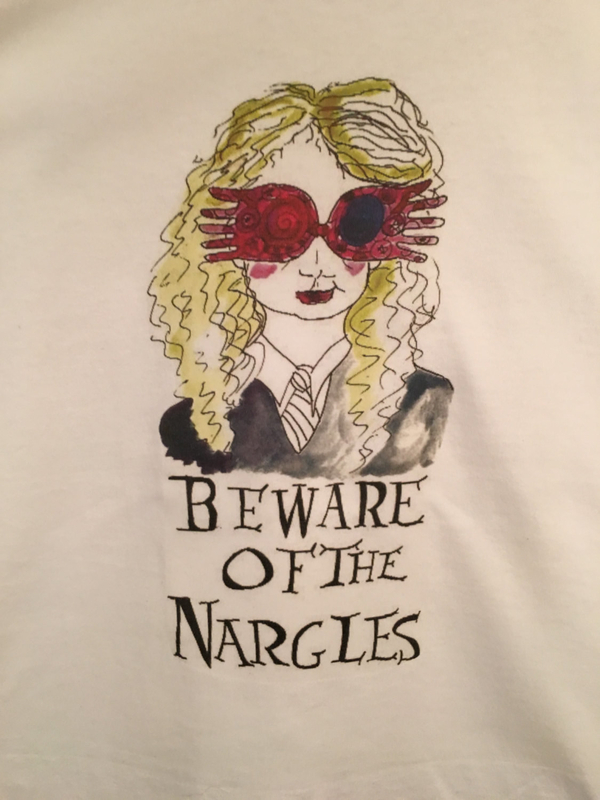 A Luna Lovegood shirt you probably saw advertised in The Quibbler. Because who reads Rita Skeeter's garbage? Damn you, The Daily Prophet. Get it from Your Niche Factory on Etsy for $15. 4. A platform 9 & 3/4 sign that is a safety risk. Please do not ram into your door thinking you'll board The Hogwarts Express. Disclaimer: BuzzFeed does not take any responsibility for injuries sustained by the above product. 5. 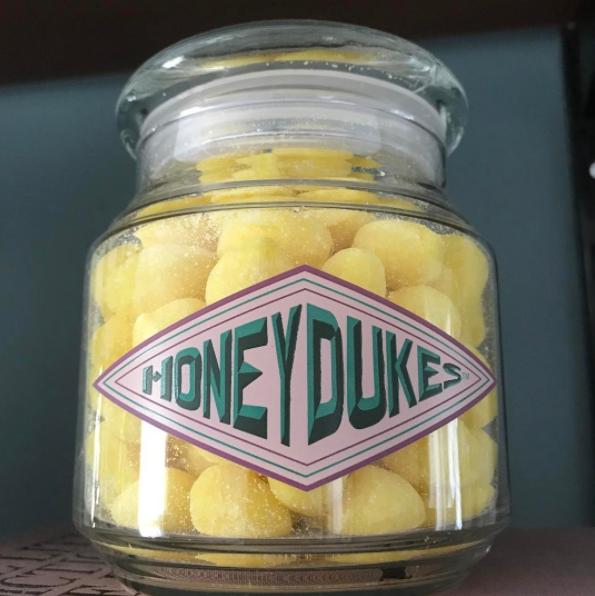 A butter-beer inspired candle designed to smell like Saturday mornings in Hogsmeade. Psst, this bad boy has a burn time of 25+ hours. Get it from Nook and Burrow on Etsy for $17.90. 6. And a Yule Ball candle that smells like cinnamon, balsam fir, and the sad suffering of Parvati and Padma Patil. They were the unspoken heroes of Harry Potter and The Goblet of Fire, honestly. Get it from Liber de Stella on Etsy for $18. 7. A tote bag for wizards who only purchase ethically-sourced unicorn hair, locally-grown mandrakes, and a mean avocado toast. Notice that this doesn't say "Diagonilley." Get it from Theresa Flaherty on Society6 for $15. 8. A morphing mug designed to reveal the Marauder's Map with hot liquid. Fingers crossed we don't see Wormtail. "I solemnly swear I am going to help you wake up." —my coffee, as I pour it into this mug. 9. Crocheted booties for the newborn who aspires to join the Bulgarian Vratsa Vultures and become the next Viktor Krum. Your newborn won't just chase the snitch, he or she will become the snitch. Get it from Obaby Boutique Baby on Etsy for $16. 10. 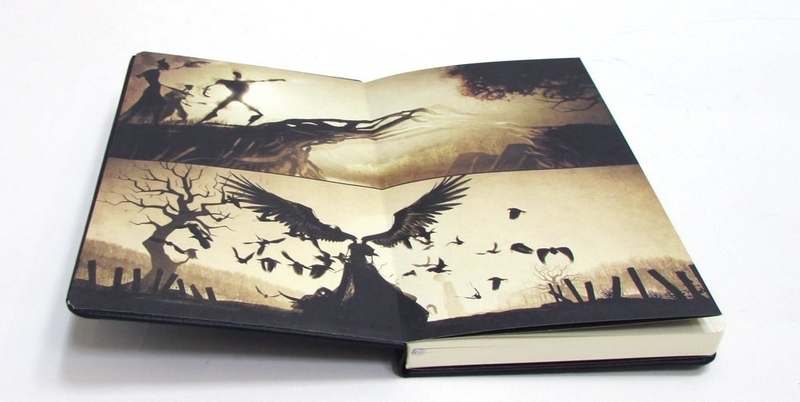 A ruled journal that turns writing tools into magical objects. Why? Your pens will begin to swish and flick. This terrible pun has been brought to you by the teachings of one Filius Flitwick, the most adorable professor to ever exist. Get this book from Amazon for $12.79. 11. Magical jewelry known to transform the ears of even the most ordinary muggle. 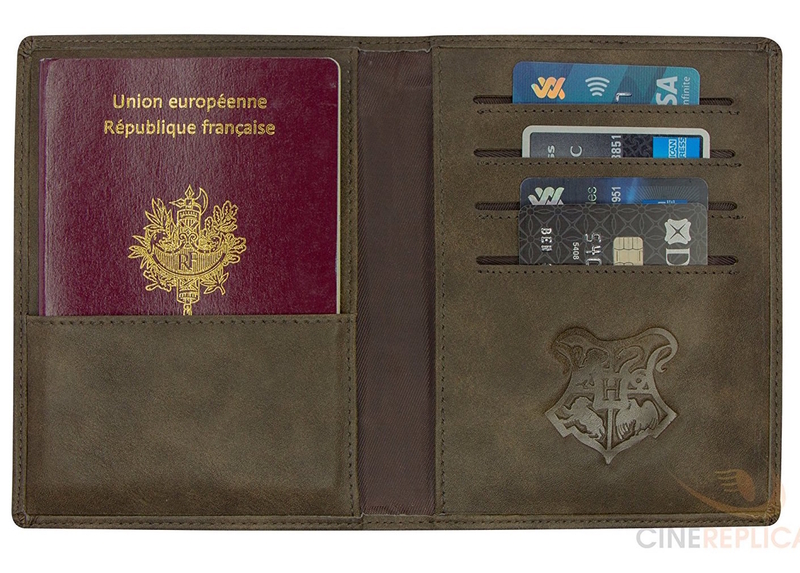 These will secure you a place at Hogwarts. Well, they will secure your ears a place at Hogwarts. But where they lead, you will follow. You're welcome. 12. Sherbet Lemons and Pumpkin juice, the latter of which will not grow back your bones. Unfortunately. "What did you expect? 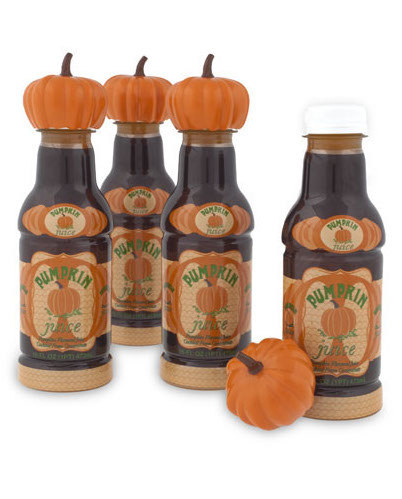 PUMPKIN JUICE?" —the savage Madam Pomfrey. 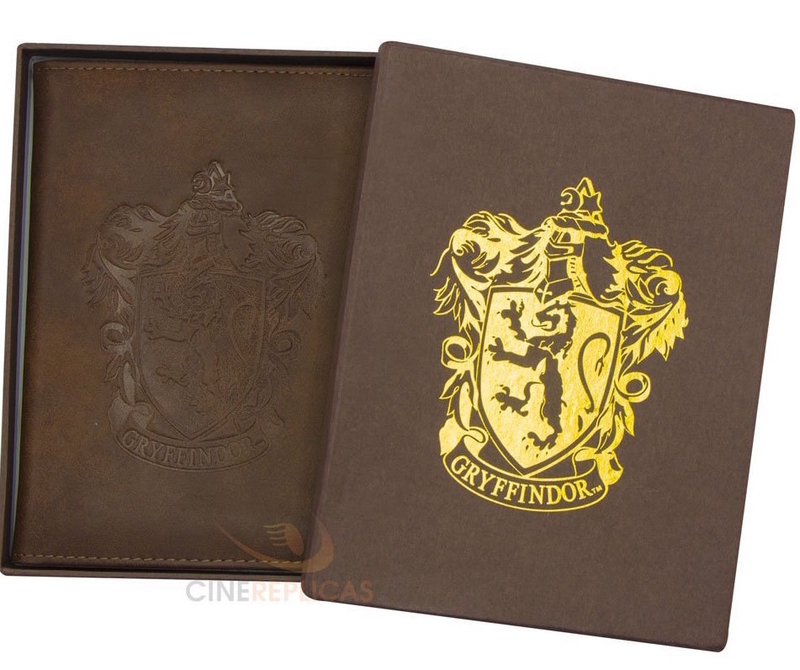 Get them from The Universal Store for $27.95 (left, for a pack of four) and $12.95 (right). 13. A planter for your mandrake. Now, please put on your earmuffs before you faint and make a fool of yourself. I'm looking at you, Neville. I don't care if you've Longbottomed. Get it from Plant Puns on Etsy for $22+. *This will not actually help you grow mandrakes, but it can help you grow tarragon! 14. A lightswitch brought to you by Albus Percival Wulfric Brian Dumbledore himself. Don't insult this product in front of Hagrid. Psst, need a different plate? Message the creator and she'll work with ya! Get it from Luna Love By Corinna on Etsy for $8. *Moaning Myrtle won't disturb you, but a basilisk might. Please ensure that your bathtub is not connected to any secret chambers before hopping in. Get them from Bombs Away Beauty Co on Etsy for $9.99+. These bath bombs are inspired by the Sorting Hat, Sirius Black, Butterbeer, and the Golden Snitch. 16. Socks that combine comfort and altruism: all proceeds will go to S.P.E.W. (Society for the Promotion of Elfish Welfare). Get them from Moon Child Crafts Shop on Etsy for $11. 17. 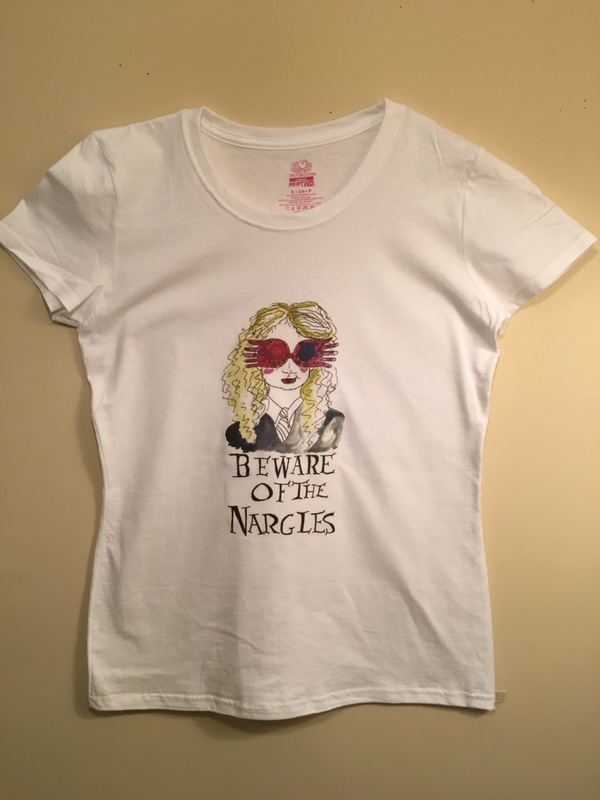 A Dark Side of the Hallows shirt for anyone who doesn't want to be just another muggle in the wall. Understandable. 18. 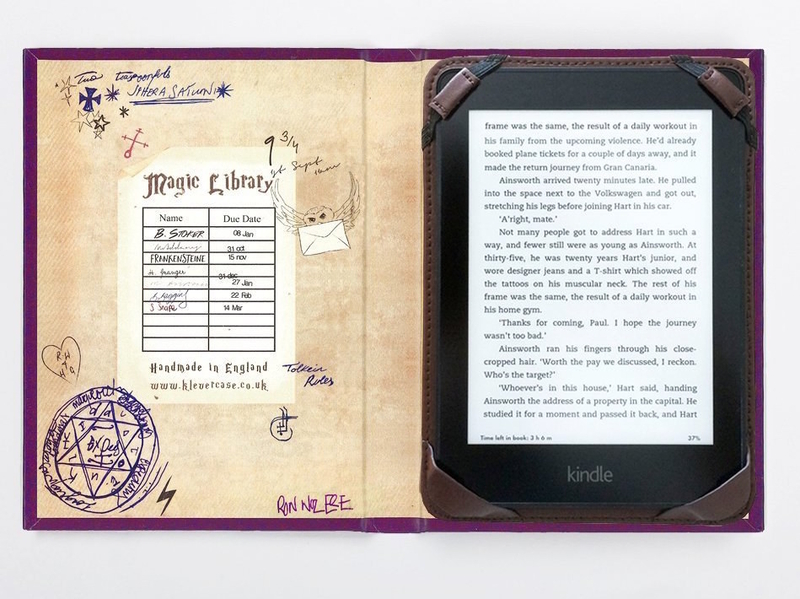 A kindle case that holds words, AKA the most inexhaustible form of magic, within. 19. Running shorts perfect for Quidditch practice during the warmer months. Buckle up and break out your Nimbus 2000, buddy! Get it from Ardor Attire on Etsy for $22 (available in all four house crests). *I am kidding: do not wear these during Quidditch practice. Please wear sensible long pants, knee pads, the works. 20. A doe pin designed to keep Dementors from sucking the life out of you. Seems like a pretty worthy investment. Get it from Cool Queen Collective on Etsy for $10.50. 21. 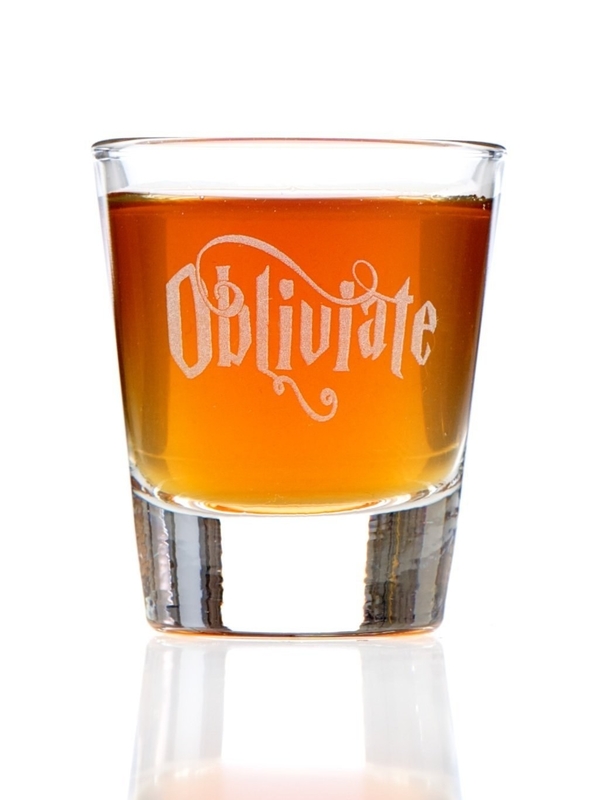 Shot glasses for when you'd like to pre-game in the common room. The Leaky Cauldron gets expensive, okay!? Unless you'd like to deposit huge sums of money into my Gringotts account, please don't judge. Get them on Amazon for $9.90 (left) and $9.98 (right). 22. A backpack that's the perfect carry-on for The Hogwarts Express. Now sit back and wait for the trolley, dear. 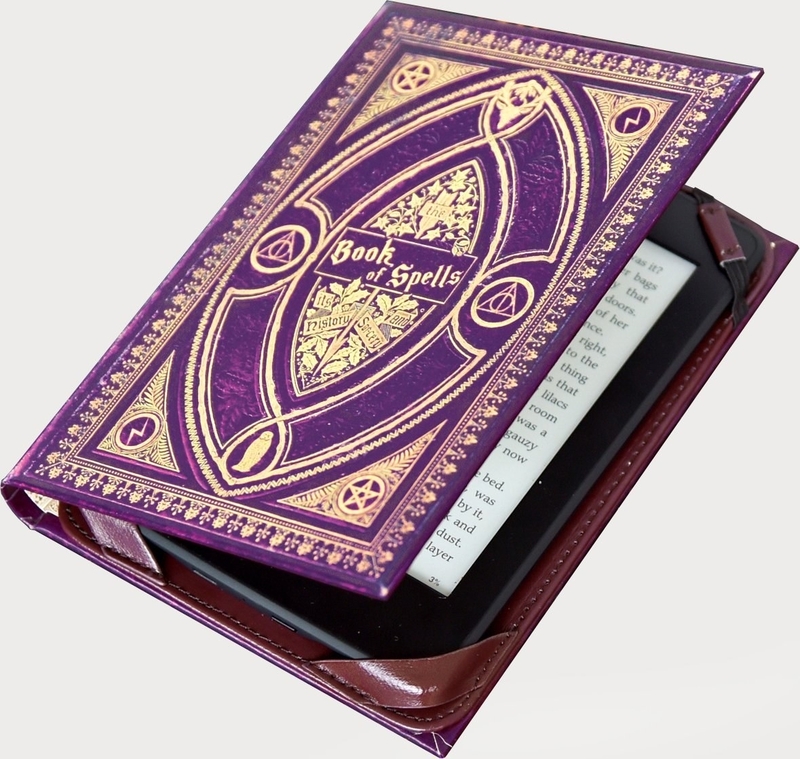 If you don't order a chocolate frog, we can't be friends. Sorry. Get it from Box Lunch for $34.90. 23. 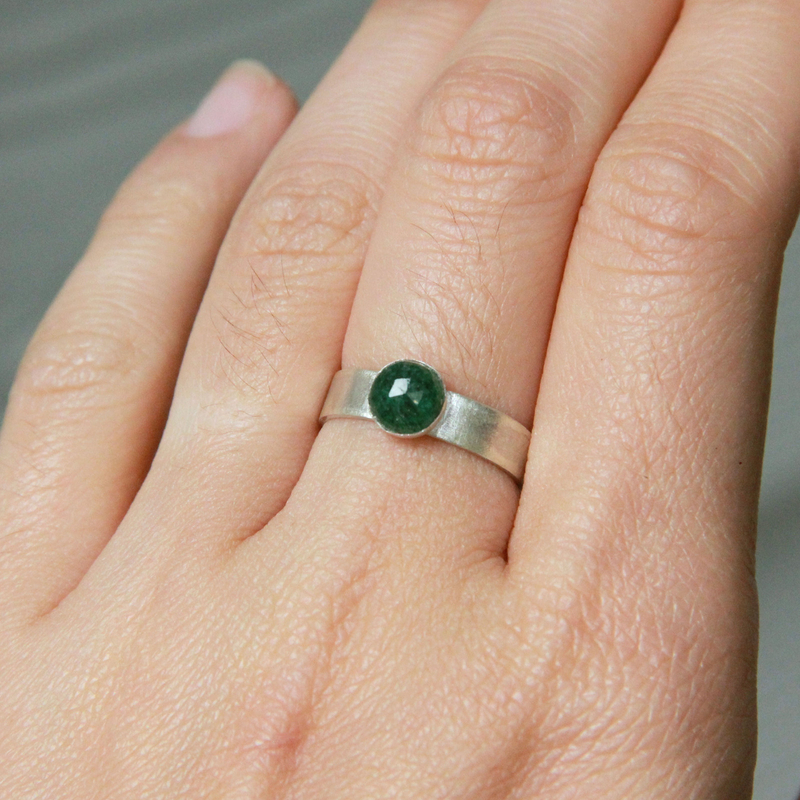 A ring with a complimentary commentator who sporadically yells things like, "TEN POINTS FOR GRYFFINDOR." A ring that gives live Quidditch updates? Sold. Get it from Mercurie Studio on Etsy for $50. 24. 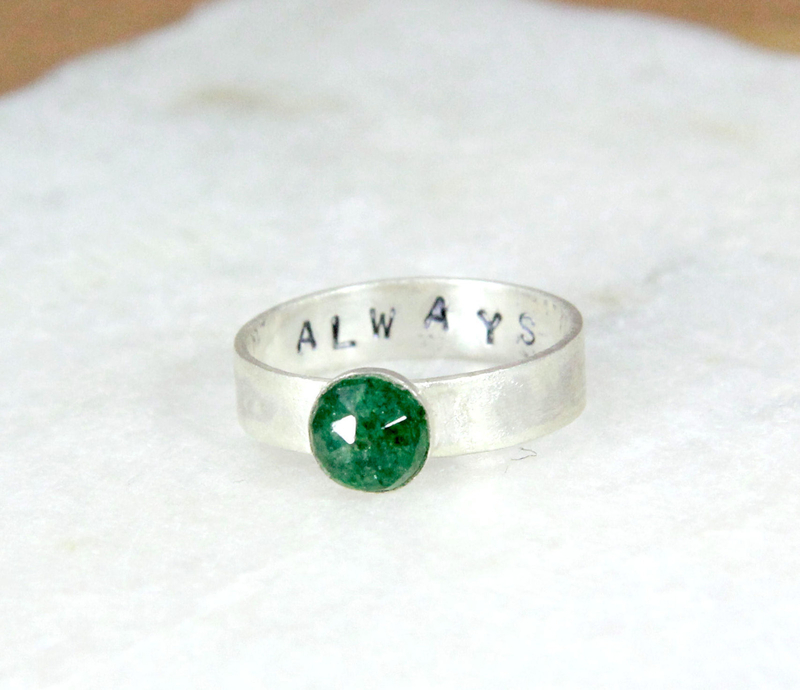 And a Snape-inspired ring. I'm sorry. I just really need a moment. Get it from Mercurie Studio on Etsy for $45. 25. Bracelets made from liquid luck. Wear these during your O.W.L.s and you're guaranteed to pass. What my credit card will say after I purchase everything on this list.